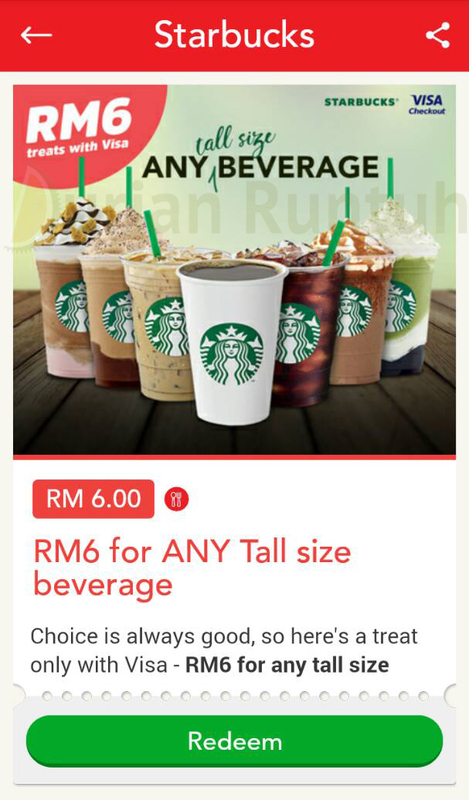 Choice is always good, so here’s a treat only with Visa Checkout - RM6 for any tall size Starbucks handcrafted beverage. Black, white, hot, iced and whatever the flavour strikes your fancy! Here’s how to get a hold of this treat at RM6 (Normal price: trust us, it's a real good deal).